Parker’s on Ponce in historic downtown Decatur is a cozy, romantic steakhouse offering salads, steaks, seafood, and other entrees. Start your meal off with their Artisan Cheese & Antipasto Plate, which comes with a selection of cheeses, charcuterie, assorted accoutrements, and housemade crackers. 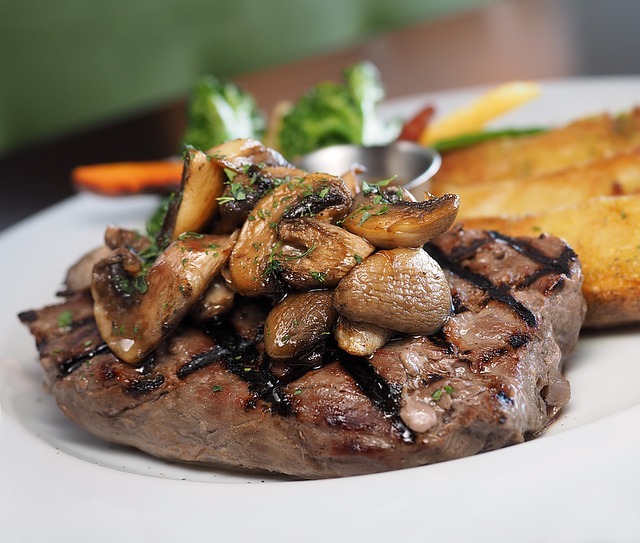 Most steak lovers will enjoy the Kansas City Strip, a bone-in and dry aged steak cut that is large and juicy. For a smaller cut, order the Filet Mignon or Porterhouse for Two. Parker’s also offers a vegetarian Grilled Tofu “Steak”, consisting of balsamic marinated grilled tofu topped with arugula pesto and shiitake “bacon” and served with a warm mushroom and farro salad. Recently renovated, Parker’s interior is contemporary and classy with cool colors, warm dark wood floors, and two double-sided fireplaces. The space includes three dining rooms and a large bar with a private room for functions, such as office meetings, family gatherings, or romantic dates. Visit Parker’s On Ponce Sunday through Thursday 5 p.m. to 10 p.m. and Friday and Saturday 5 p.m. to 11 p.m.